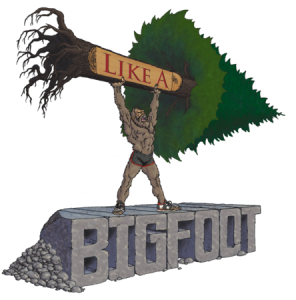 This week’s guest represents everything the Like a Bigfoot Podcast strives to showcase. Grit, determination, intelligent training, and pushing through devastating obstacles to ultimately achieve greatness. I met Miguel Medina last January during a 50k “fatass” training run from Nederland to Boulder. While running together I instantly realized a few things: Miguel is fast….I mean FAST and he is very intentional with his training, mobility, and recovery. I felt so lucky to spend a few hours picking his brain about living life as a pure well-rounded athlete. I should probably mention he’s an elite ultra obstacle course racer who has numerous podium finishers in a wide variety of obstacle course races and in 2014 his team won the World’s Toughest Mudder (with Mark Jones, Hunter Mcintyre, and Dennis Wayne Welch). In other words, he’s one of the best athletes I’ve ever had the pleasure of running with. 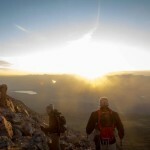 In this episode Miguel shares his story from “Gamer” with chronic back pain to elite athlete. It’s intense, raw and is one of the most inspiring stories we’ve shared on this podcast. I’m so grateful to hear his story and to be able to share it with you! We also chat about how awesome it is to live and train in Durango, Colorado, strategies to manage emotions during team events, positivity and gratitude during intense races, and his current experience racing the Toughest Mudder Midwest. Miguel just placed 5th in the Toughest Mudder Midwest in which he completed 45 miles of obstacles in 7 hours and 50 minutes (which is INSANELY FAST). He is currently running through the San Juans preparing for the Spartan Ultra Beast in October and the Worlds Toughest Mudder in November (with his teammate Mark Jones).